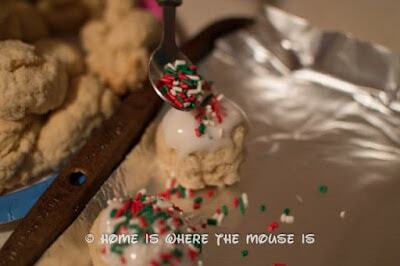 Christmas is all about traditions and this recipe is one of ours. 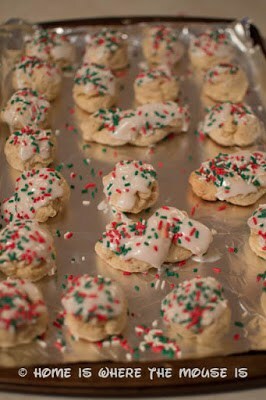 For generations, this sweet anise flavored Italian cookie has gotten our family into the holiday spirit. Each bite brings back cherished family memories of special people and Christmases long ago. 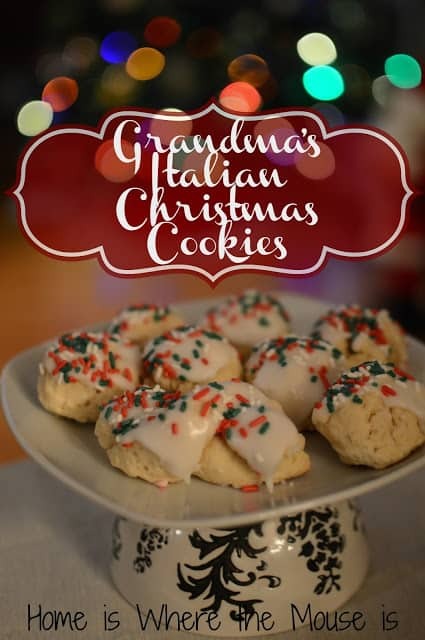 I first learned how to make Grandma’s Italian Christmas Cookies from my Grandma Grace. 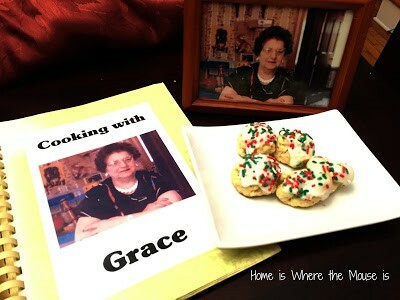 I loved going to her house during the holidays for Christmas cookie baking day. She’d always bake at least three kinds and there were enough cookies to feed our whole family and then some. I was in awe watching her work. 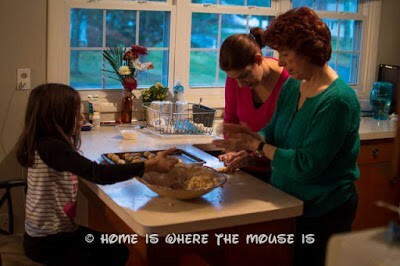 She knew every recipe by heart and crafted each cookie with patience and love. My favorite part was taste testing each batch fresh out of the oven (a task my own daughter has taken over). Since my Grandma’s passing 21 years ago, my mom has continued the cookie making duties and has not skipped a beat. A variety of kinds and plenty of leftovers for both my sister’s family and mine. I, too, have kept up with this tradition in my own little family. 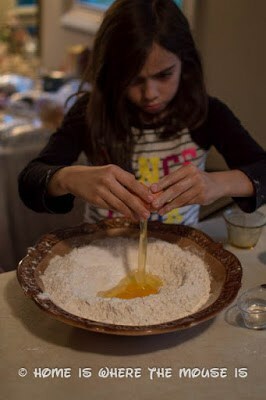 With my faithful sous chef by my side, Bella and I have managed to continue what my Grandma started. 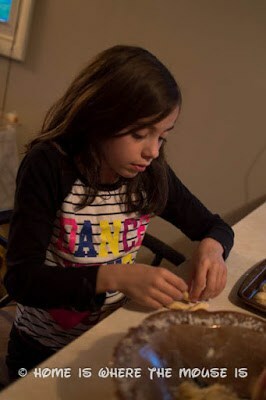 Hopefully Christmas cookie making will be a tradition she will keep up with her own kids someday. 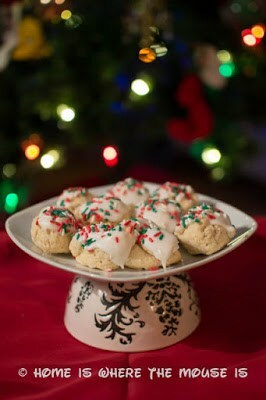 But no matter what kinds of cookies we want to make each year, at least one family member makes my Grandma’s cookies. 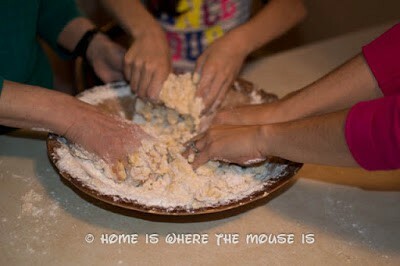 Over Thanksgiving 3 generations got together to make my Grandma’s Italian Christmas Cookie recipe. 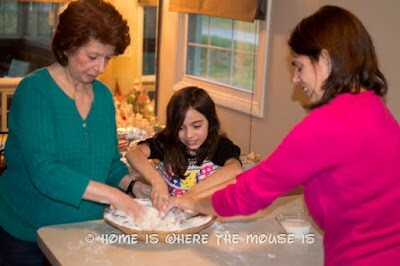 We felt my Grandma’s spirit watching over us as we worked together in kitchen to make her cookies. These opportunities to bake together are too few and too far between. The original recipe makes 5 lbs of cookies. However, the recipe can easily be cut in half, which is what we did. Another bonus is you can make the whole recipe and then freeze what you don’t need and save them for later (pre-frosted cookies only). 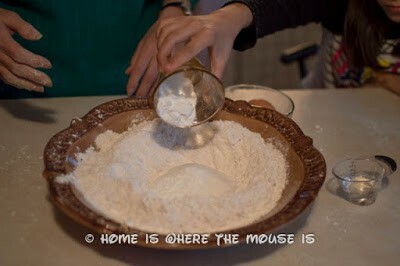 Measure flour into a large, shallow bowl. 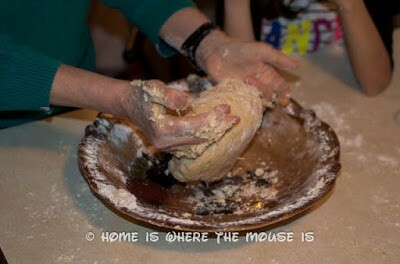 You could also do this on the counter like my Grandma used to do. 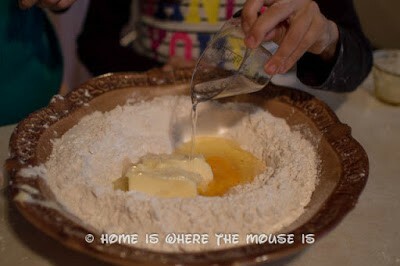 Make a well in the center of the flour. Add the rest of the dry ingredients into the well. Carefully, crack the eggs into the well. I recommend cracking them on the counter as opposed to the bowl to prevent egg shells from getting in the dough. You could also crack them into a small bowl first. 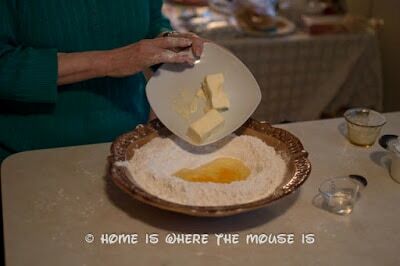 Add the softened butter into the well. Finally add the anise extract. My Grandma used a combination of extract and anise liquor. Both will give you that rich licorice flavor. Whether or not you want to use alcohol in your dough is up to you. 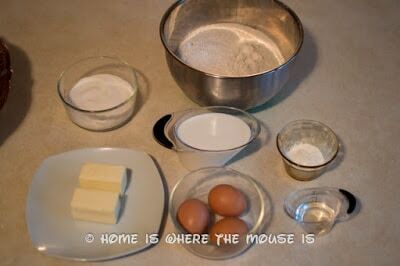 Slowly add the milk in small increments to form a dough. 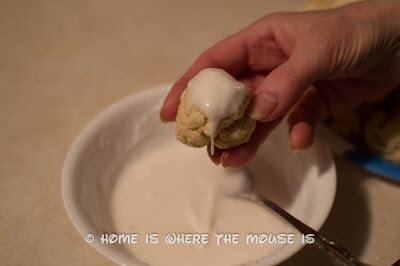 When the dough becomes dry add more milk. 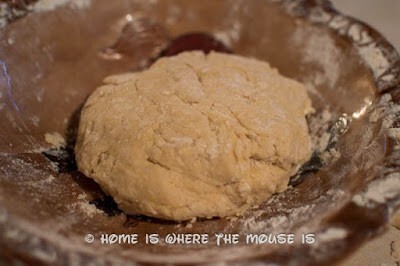 Continue adding the milk until dough is smooth, not sticky. The dough could also be dyed at this point. You would add a few drops of food coloring and work the dough until you achieve the desired color. 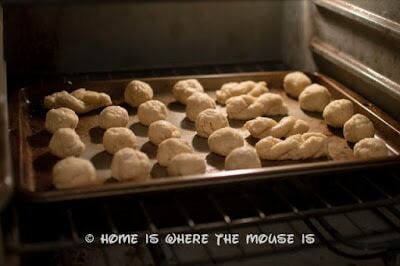 Form the dough into walnut sized balls. This part is fun for the whole family. You could also try your hand at braids and twists. Those shapes are perfect for dipping into coffee later on. 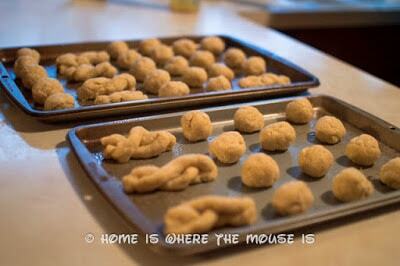 Place the balls and braids on a greased cookie sheet. For an added shine you could brush the cookies with egg wash before baking. Bake at 375 ° for 10-12 minutes or until brown. Watch them carefully! They will burn fast! Once cool, frost with powdered sugar mixed with a splash (or 2) of water (mixture must be thick). Finally, d ecorate with sprinkles. I have been wanting to share this recipe for a long time and I’m excited that I get to share it with all of you. 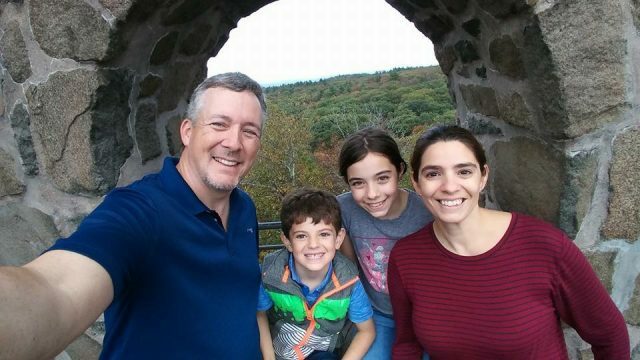 It is my hope that when you make them, they will help your family create lifelong memories, just like they do for our family. 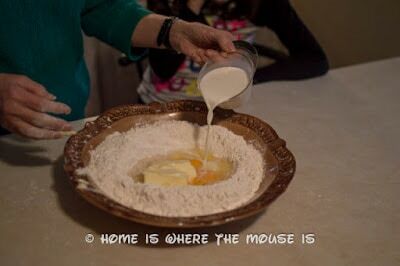 I know my Grandma would be proud to know that her recipe is so beloved and that making them means so much to my family. Whatever you choose to bake this holiday season, just make sure that you bake with love. 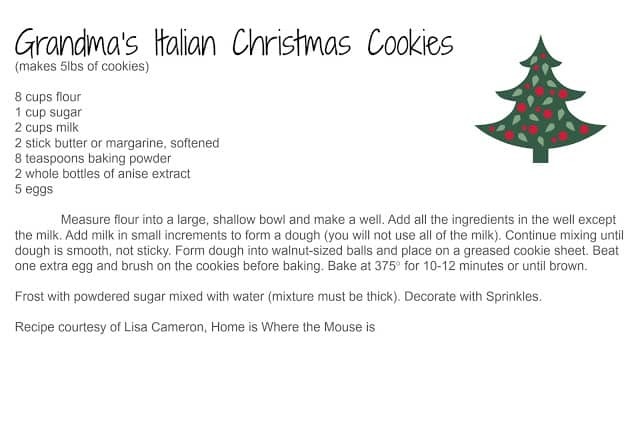 For a complete and printable copy of Grandma’s Italian Christmas Cookies, click here. Awww . 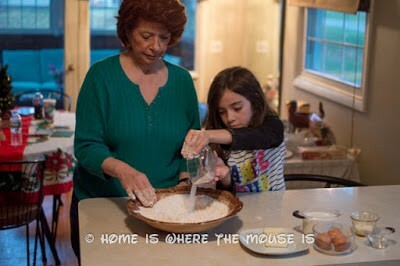 . . that is so neat that you are sharing a recipe that has been passed down in your family. I'm not a huge fan of the anise flavor, but these cookies look fabulous and I'd definitely try them because of the special story behind them! I've been wanting to share this recipe for a while and this was the perfect opportunity. I'm sure you could replace the anise with lemon or almond and they'd still taste great. It's a very versatile dough. 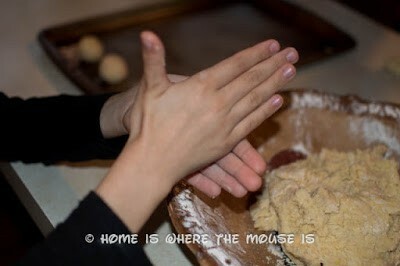 As an Italian who has been passed no Italian cookie recipe, I love this post! It must be so amazing to have that wonderful tradition of making a family cookie every year. I am definitely going to try this recipe asap! Thank you for sharing such a special recipe with us. Thanks so much! It was really awesome to be able to share it with my daughter this year. She never met my grandma, but she'll always have her recipes. Let me know if you try it. Mmm, those look delicious! And how special that you have your family recipe. 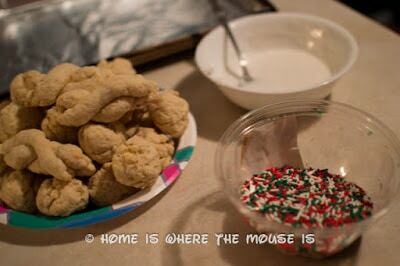 My grandmother made amazing molasses cookies but never had a recipe to share, it was all in her memory! Thanks so much! Thank goodness my mom took note and wrote it down. My grandma also did it all from memory. Since marrying into an Italian family I have grown very fond of these cookies. My mother-in-law always makes them so now it is my turn! Thanks for the recipe.